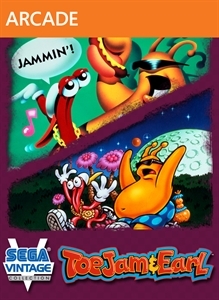 The SEGA Genesis had its fair share of great titles that made it a fun console to have in the 90's, and for me ToeJam & Earl games were high up on the list. Each game provided fun gameplay mechanics, great co-op play, and a varied soundtrack containing tunes that are just as memorable to me as level 1-1 of Super Mario Bros. Now available on XBLA and PSN, the first two games in this series can now be played by a modern audience with a few enhancements that help make the title a bit more modern in terms of an retro downloadable release. Get ready to Jam! 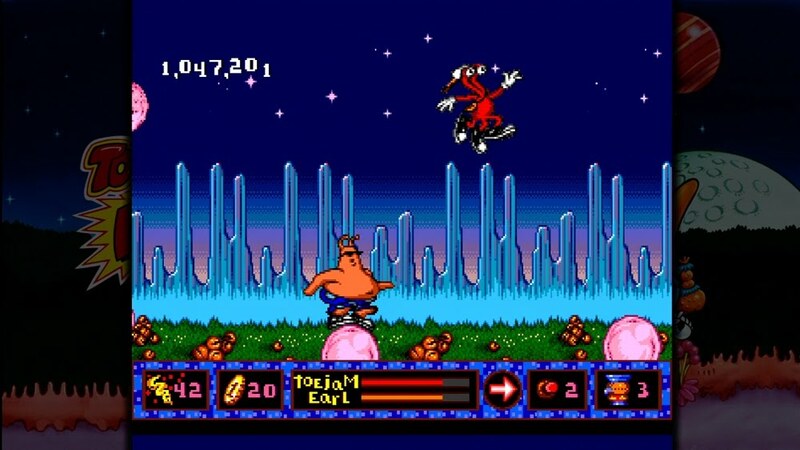 The original ToeJam & Earl game really impressed with its freedom of exploration at the time. The game focuses on two alien friends as they attempt to repair their downed ship, and to do this you'll need to explore randomly generated areas that offer up various goodies to find aside from the needed ship parts. One of the main elements I loved about this game was its two player mode. 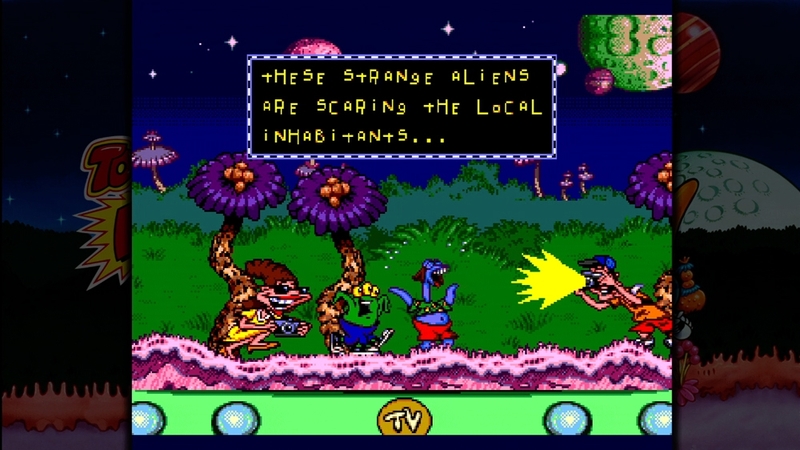 While together in an area, the screen would be one whole, and once you decided to move away and check out other areas, the game would split the screen without restricting exploration for either player. You and a friend could be many levels away from one another, but still able to explore and split up when looking for their parts. This game was great fun, but lacked a bit in action, which is the main gameplay element of the second game. 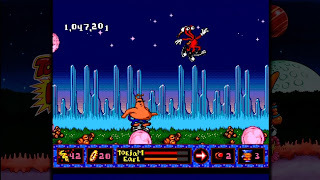 ToeJam & Earl 2: Panic on Funkotron got a lot of flack from removing the exploration element, but I still found it to be just as fun as the original title. This game is a 2d platformer where you explore areas of the alien planet in the hopes to capture the earthlings who made their way to the planet and are altering the amount of funk available to the planet. Co-op play was still included with this title, but was restricted to one screen. 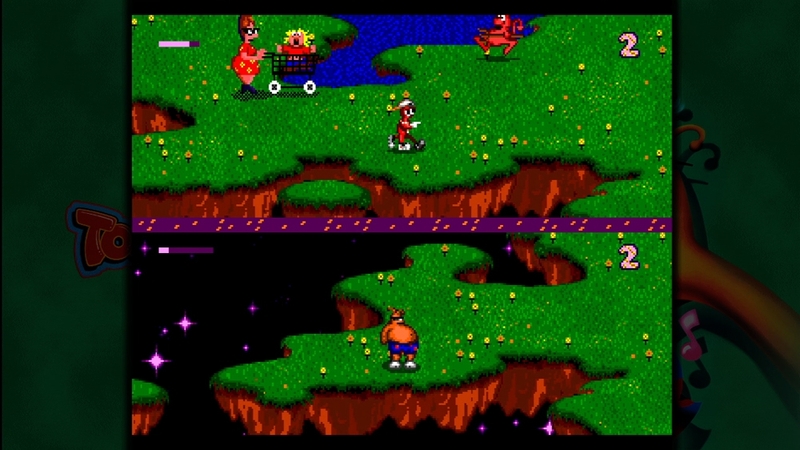 When playing alone in either game, you could choose to play as either ToeJam or Earl, but the sequel allowed you to play as both at the same time. 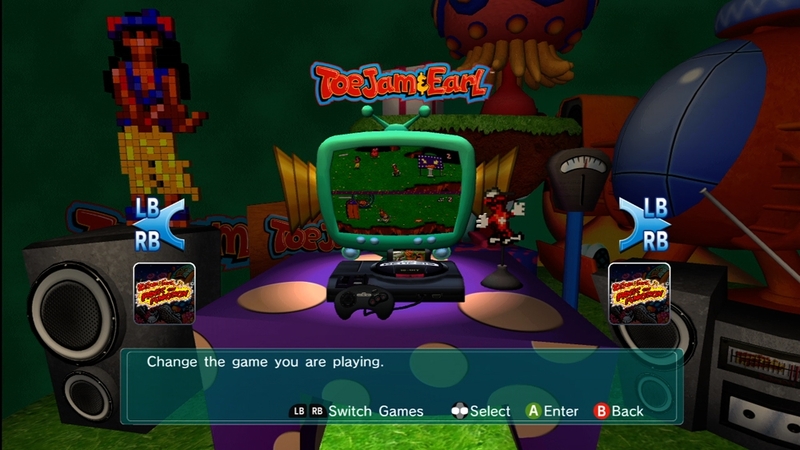 The main enhancements from this version come from the online play and leaderboard features, as well as the ability to save and load your game from any point in either title. There are about 30 achievements to unlock too, which a nice split for both games and goals that fans and new players should be able to unlock over time with the game. $10 is a fair price to pay for both of these titles, especially for players with a bit of nostalgia for ToeJam & Earl like myself. From the classic music and fun gameplay, both of these titles are worthy of checking out. Its another great game collection out of SEGA's vault to play.